Welcome to our riders. Below you will find a few words on each of them, what they have done and more importantly, what they want to do. Some of them have their own blog pages, which are linked here and some have personal sponsorship through Pedal Potential, a company that raises money to help two wheeled athletes. Please look round. The Pedal Potential riders have a donation button on their blogs and all monies go directly to them. Thank you. Etienne Georgi is a member of British Cycling’s Junior Academy and won the National Junior Road Race Series in 2015. 2016 will see him racing abroad for much of the season and is hoping to gain selection in GB’s team for the Junior Paris Roubaix. 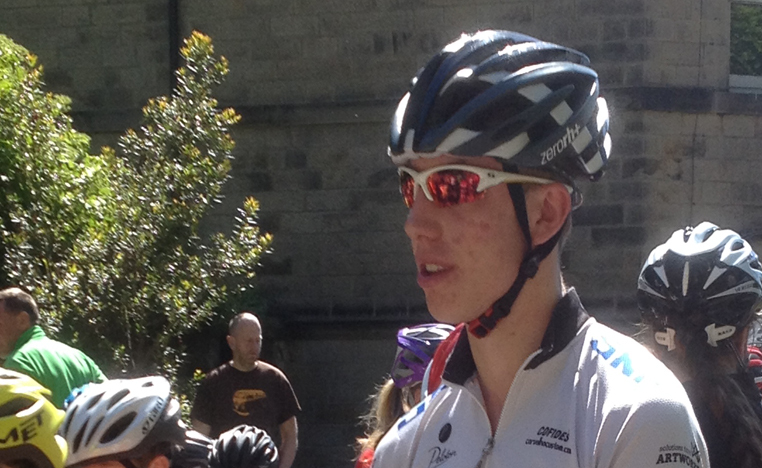 He is studying A levels and has a long term ambition of riding in a World Tour professional team. His favourite animal is a black cat and his idea pet would be a panther. Charlie Meredith is a great climber. From North Devon, he spends many hours on the hills of Dartmoor National Park. Notorious for getting himself into race winning breaks he had great results in both the Isle of Man Junior Tour and the Tour of Wales. 2016 will see Charlie in Belgium and France and hunting for that first National Junior Series win. He is famous for lecturing you exactly how many watts advantage a new piece of kit will give – but he doesn’t own a power meter! 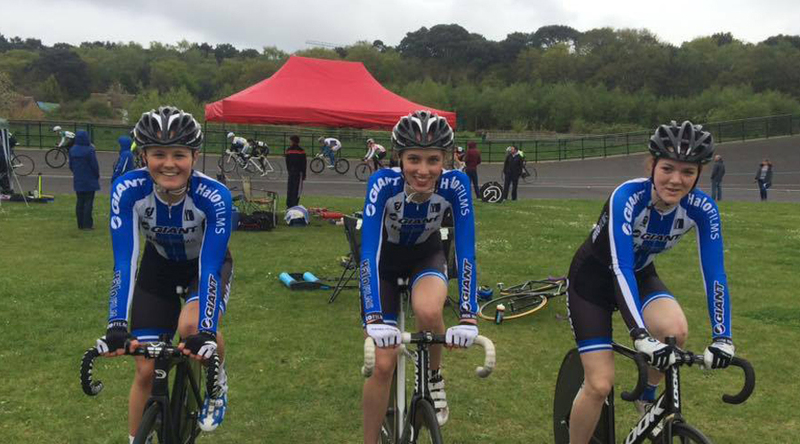 Lauren Dolan is part British Cycling’s Junior Academy. She represented Great Britain at the European Youth Olympics where she won a bronze medal in the time trial. 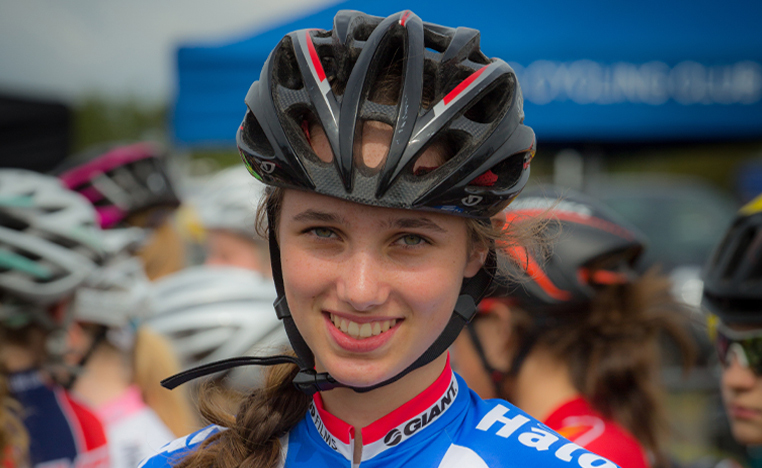 In 2015 she also won the International North West Youth Tour, came 2nd in the National Youth Road Race Series and won the National Madison Championship with team mate, Pfeiffer Georgi. 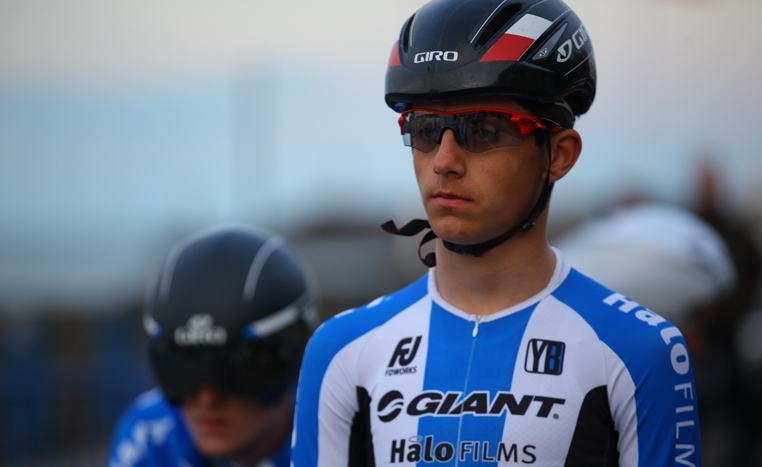 Pfeiffer Georgi is a 15 year old road and track cyclist. She is on British Cycling’s Olympic Apprenticeship Programme and is considered by many to be an exceptional talent. She is hard working, determined and not afraid to try. 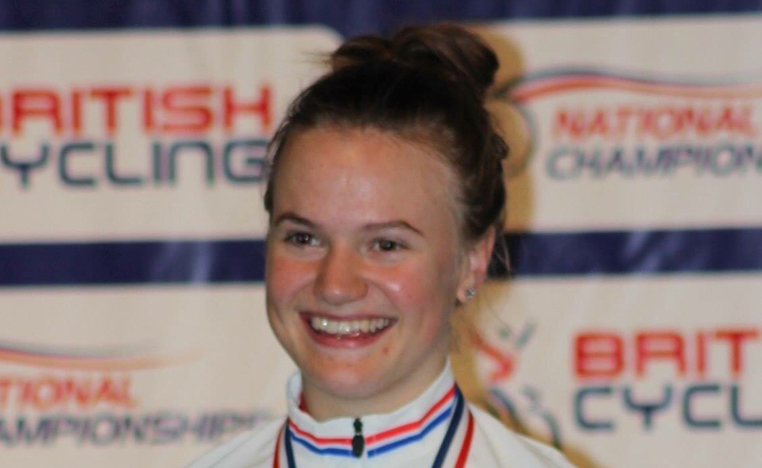 She is a multi-national champion and was the youngest of three girls to be selected to represent Great Britain at the 2015 European Youth Olympics in Tiblisi, where she finished 6th in the time trial. Pfeiffer is concerned about world peace and likes rescuing mice from cats. 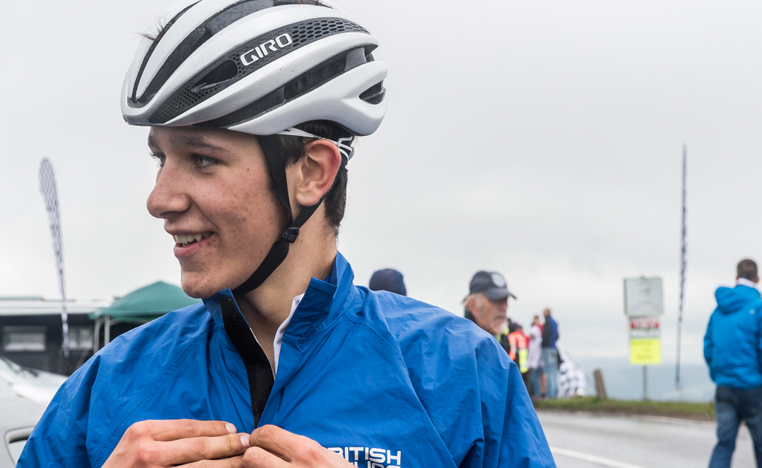 Matt Cox is graduating to the junior ranks from British Cycling’s Olympic Apprenticeship program in 2016. He is a multi medal winner at the Sainsbury’s School Games and has made a reputation as a very fast pursuit rider. Matt lives in Britsol and is renowned for his cutting impressions of local celebrity, Stephen Marchant. He is supported by Pedal Potential. You can see his personal blog here: Matt Cox blog. 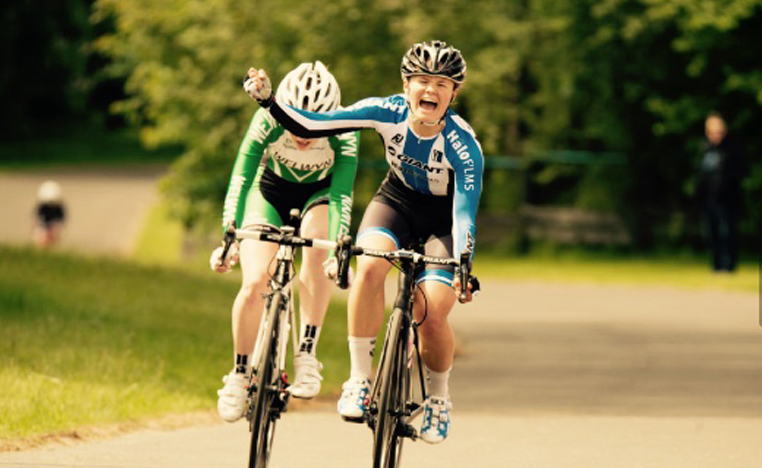 Jess Roberts is a multi national champion and member of British Cycling’s Junior Academy. Sister of Wiggle Honda professional Amy, Jess excels on road and track and rode for Great Britain at the European Youth Olympics in Tiblisi.